What better way is there to spend Halloween than with a horror game? 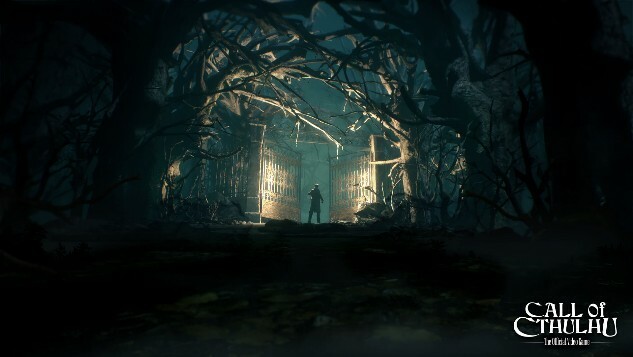 That seems to be the thinking behind the videogame adaptation of the classic pen-and-paper RPG Call of Cthulhu, which publisher Focus Home Interactive has announced will arrive on the PlayStation 4, Xbox One and PC on Oct. 30. In this narrative RPG, you play as investigator Edward Pierce, who is looking into the death of the Hawkins family. However, the island of Darkwater is filled with several mysteries, horrors and secrets as you work towards the truth. Gameplay involves players interacting with other characters and exploring the environment in service of their investigation. Choosing whether to talk to characters or steal and collect certain items can open up certain paths during your search for answers. Pierce’s sanity will also play a role during gameplay, as he will slowly descend into madness as the game progresses. Nothing is as it seems. Sanity is an irregular bedfellow, all too often replaced by whisperings in the dark. Strange creatures, weird science, and shadowy cults dominate the Cthulhu Mythos, intent on realizing their mad schemes to bring about the end of all. Your mind will suffer—balancing a razor-thin line between sanity and madness, your senses will be disrupted until you question the reality of everything around you. Trust no one. Creeping shadows hide lurking figures … and all the while, the Great Dreamer prepares for his awakening. Call of Cthulhu is the just the latest property to adapt the work of H.P Lovecraft. At Paste, we ranked the original pen-and-paper RPG on our list of 10 tabletop RPGs for beginners. Preorders are available for the digital version on Steam, as well as the retail versions for consoles and PC. Grab a glimpse of Call of Cthulhu with its E3 2018 trailer below.